With the 2016 Release of the PROLIN Smart Suite PROLIN has introduced Global Search, a powerful text search functionality in Advanced Find that leverages the Elasticsearch search engine. 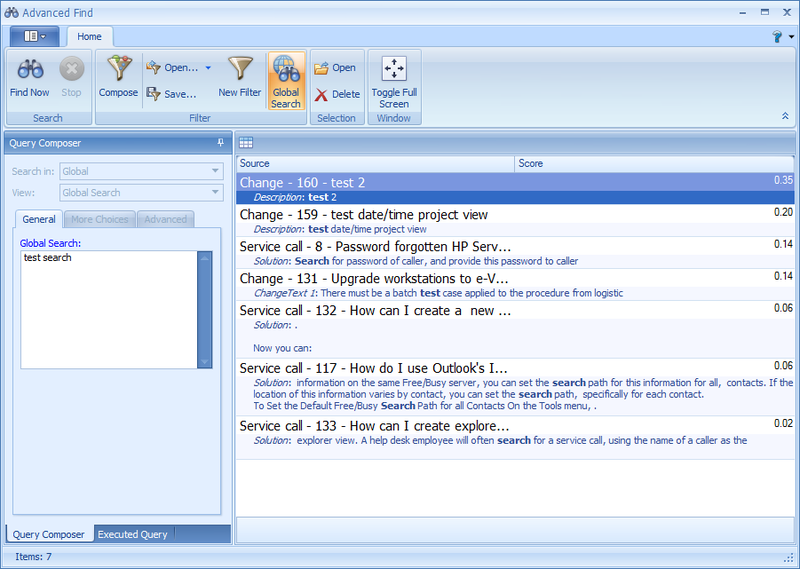 Use case: Configuring Global Search to take advantage of this new, powerful capability. 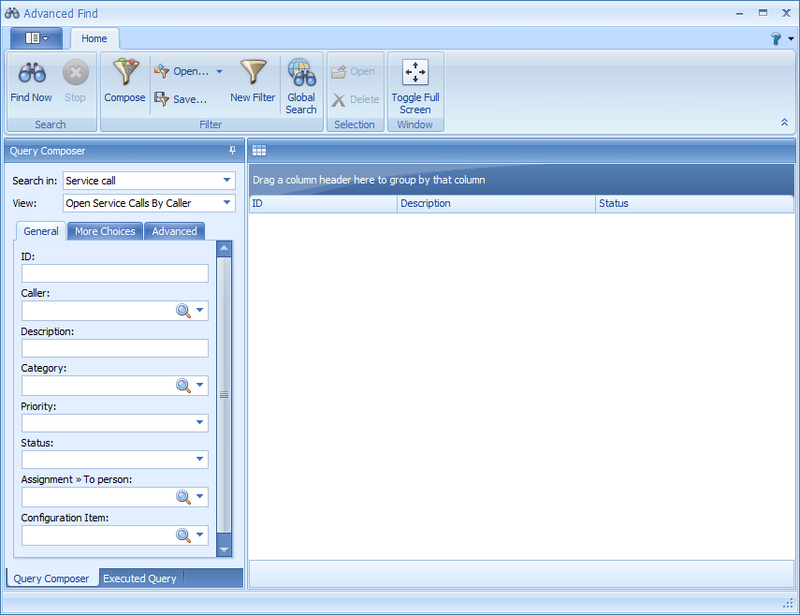 With Global Search you are able to search across multiple entities at once including their history lines and attachments. For this functionality PROLIN Power Server is shipped with a Search module that seamlessly integrates with an Elastic Search service hosted in your environment. 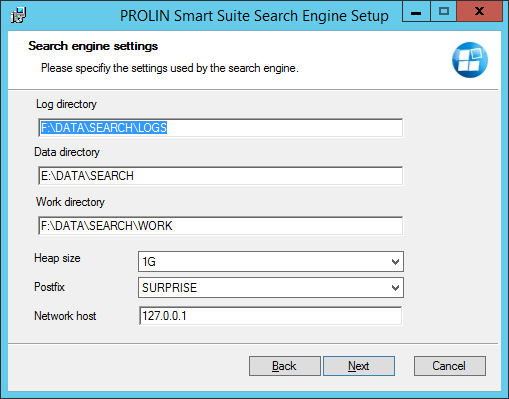 As part of the PROLIN Power Server, you now also get an installation for the Elastic Search engine: PROLIN Global Search. Just install the delivered PROLIN_ES_Setup.msi, preferably on a separate Windows server with a recent CPU and at the very minimum 4 Gb of memory. You will need a recent JDK8 installed and JAVA_HOME environment variable set before installation. For a standard one-box Test implementation, it is recommended to leave the default values. Note that in order to index your attachments you must configure the Attachments Server in the Administration section of PROLIN Smart Client. 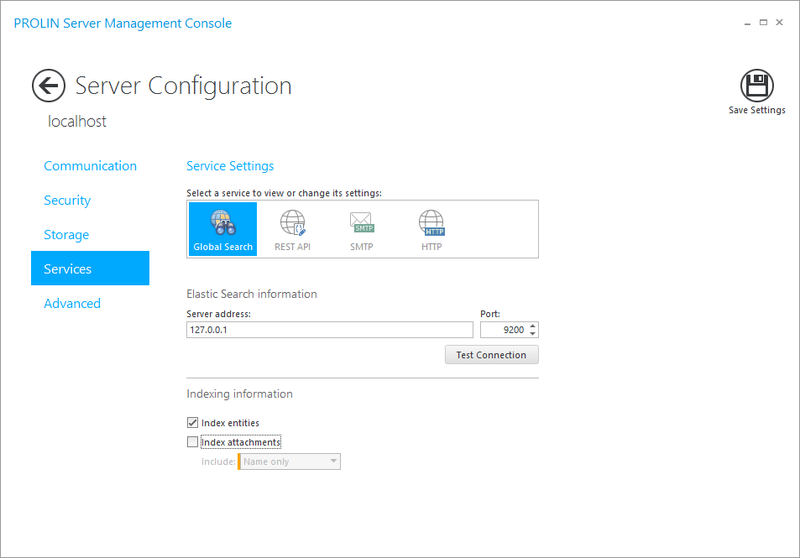 If the configuration settings are missing or your Attachment Server cannot be reached, none of your attachments will be indexed. Stop the Power Server by clicking on Stop Server, if the Power Server was running. 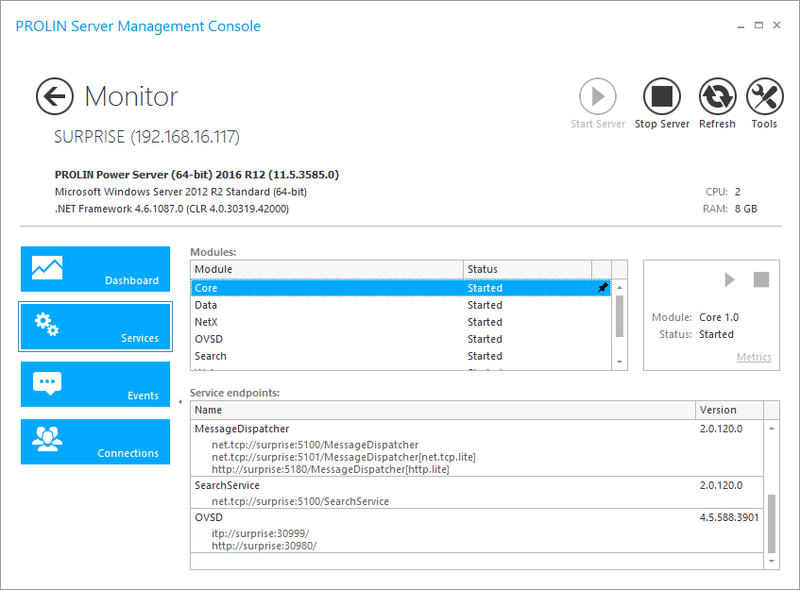 Now start the Power Server by clicking on Start server. You can view Metrics for the Search service and see how the Initial indexing run is progressing by selecting the service and clicking on the Metrics link in the right hand box. You have a Global Search icon in the top ribbon. The results are sorted/weighted by relevancy. NOTE: when the Global Search result is an attachment, you can choose between opening the attachment and opening the item it is attached to.